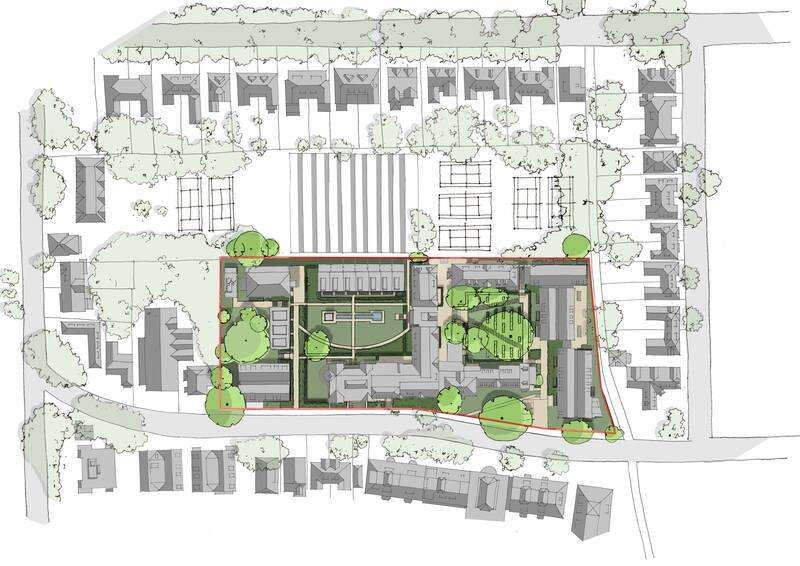 This development is located in a sensitive Conservation Area in Hampstead. 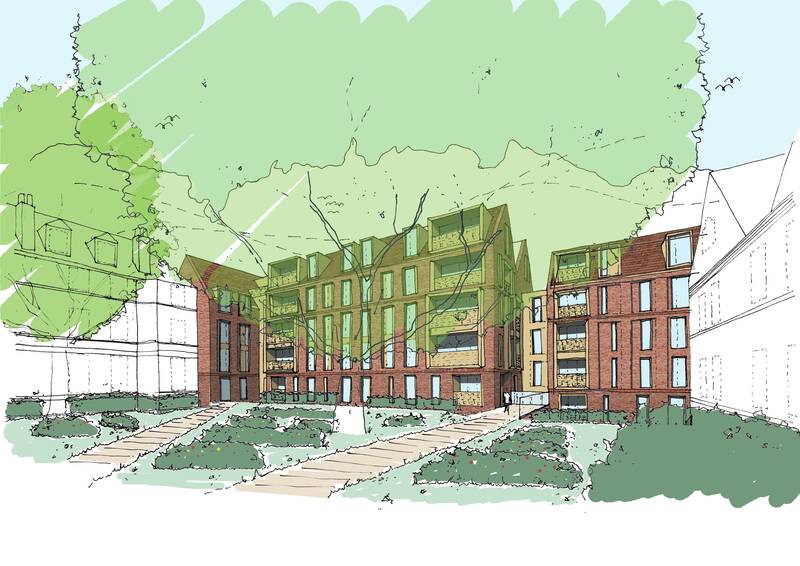 156 homes have been created through the design of three new apartment blocks and eight new townhouses and the conversion of five Grade II listed and two non-listed buildings. We gave the refurbished and historic buildings conceptual primacy, with the proposed new buildings required to integrate into their context. 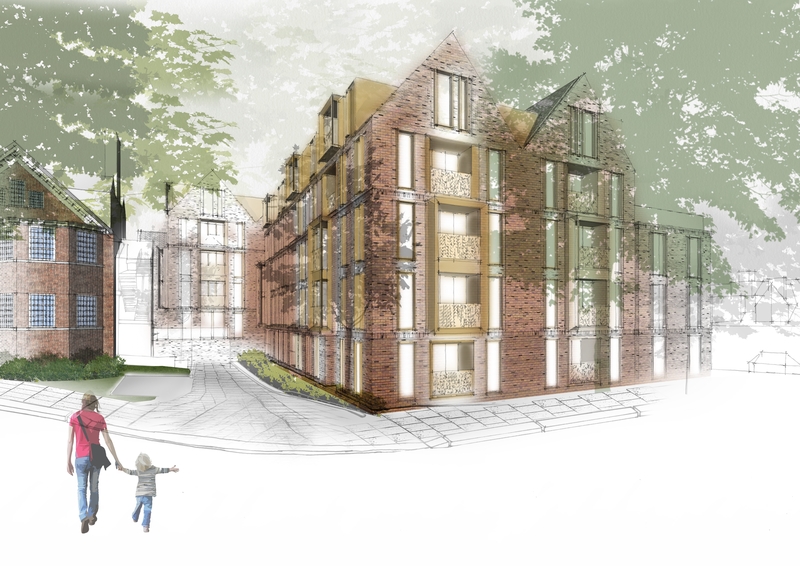 We achieved this through careful consideration of mass, form and detail, using materials common to the local vernacular, adopting window proportions of surrounding townscape but deployed with a contemporary approach. Our facade strategy ensured that all new build elements formed part of a recognizable ‘family’ of components across the site, with materiality related to existing context. 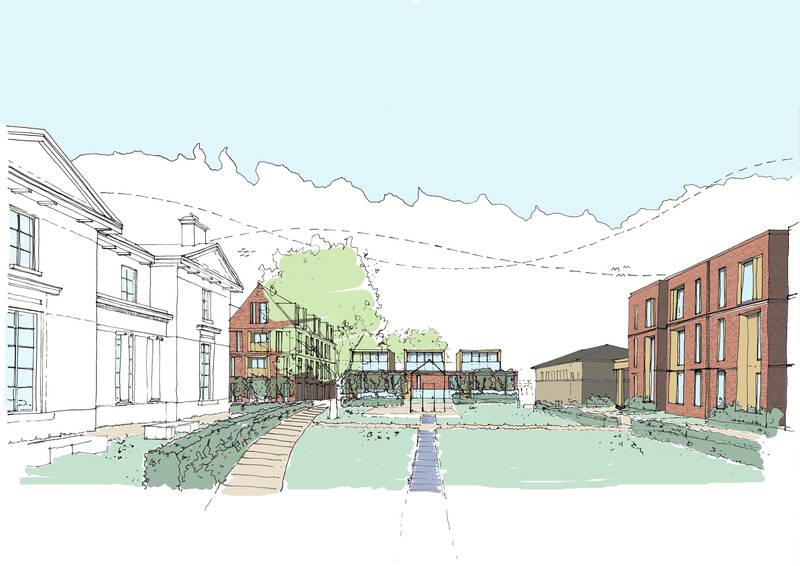 Identifiable townscape elements were also recognised - dormers and gables, projecting bay windows, lines of symmetry, rhythm, spacing and pattern, horizontal coursing and elevational stratification – which can be seen in the elevation strategy.